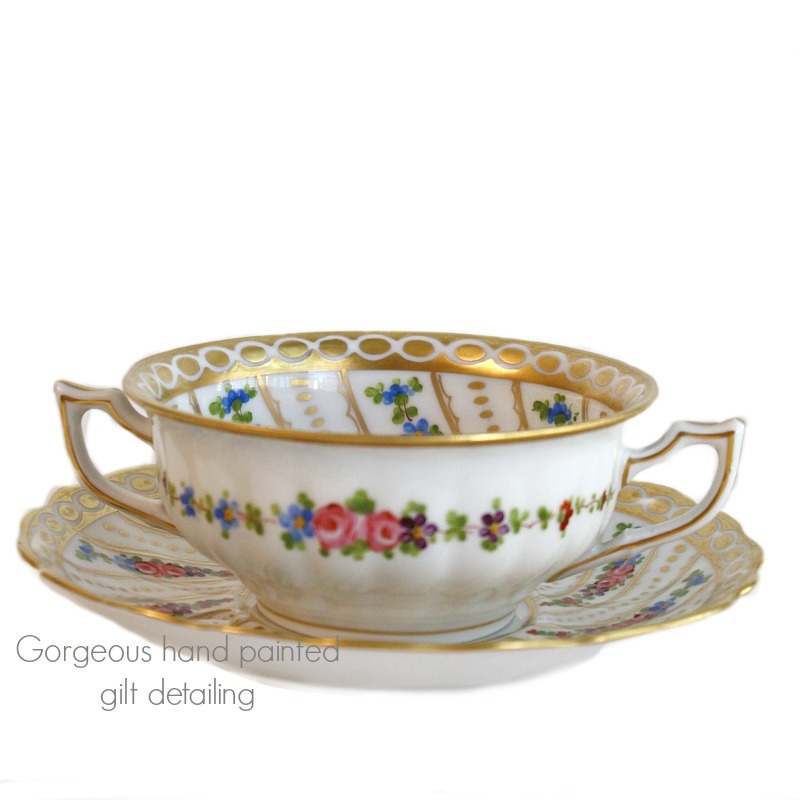 Beautiful Antique Bohemian Porcelain Rouen Consomme Cup and Saucer was made and imported to the US for especially for Richard Brigg's luxury store in Boston at the turn of the last century. 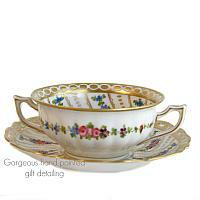 Hand painted with great care and skill, the pink roses, blue forget-me-nots and purple violet flowers are vibrant. 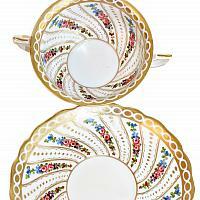 The 24 kt. 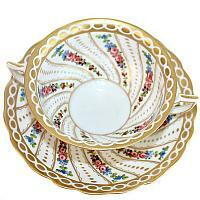 gold detailing is in wonderful condition, and the perfect accent to both the scalloped saucer, and the round cup. 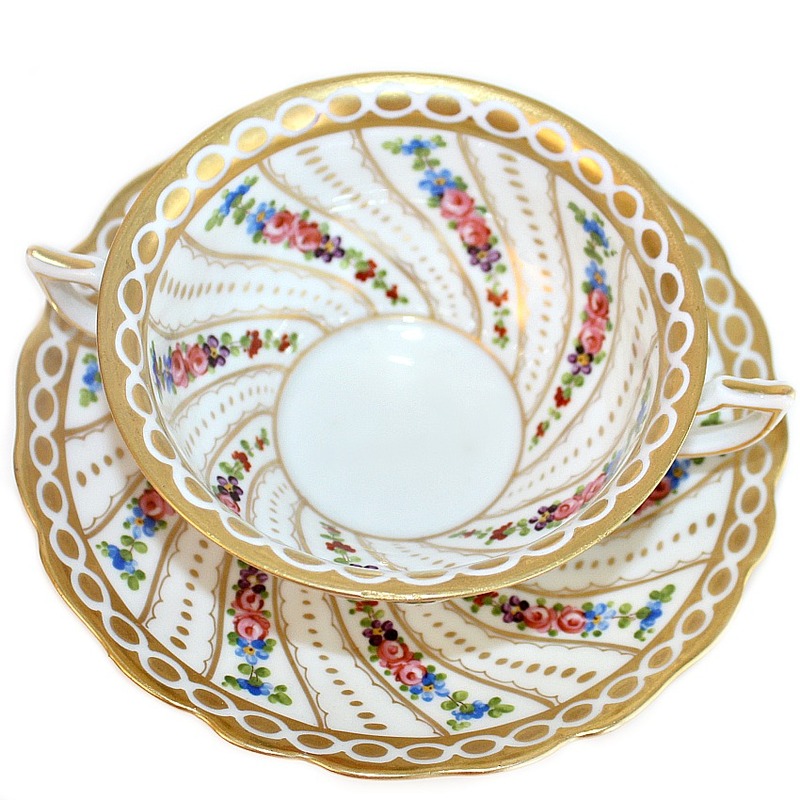 An elegant set, with only slight wear to the gilt edges. 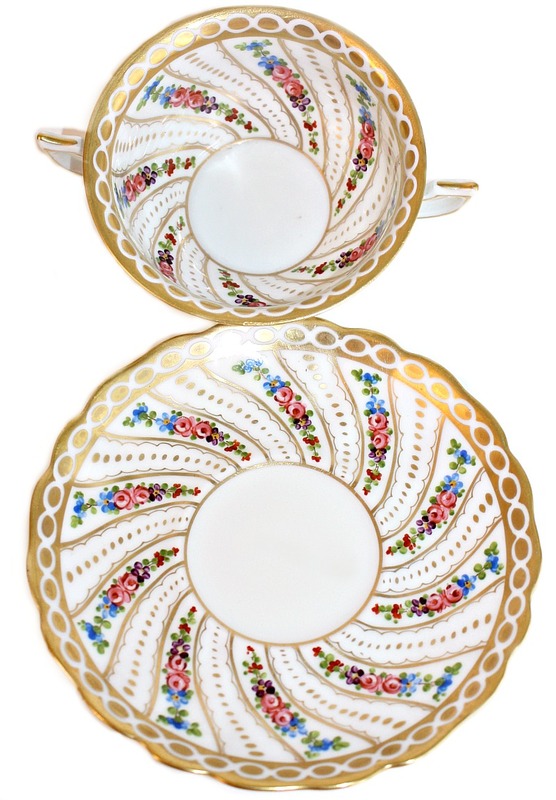 Marked Rouen on the back, and R. Briggs Co, Boston on the bottom of each piece. 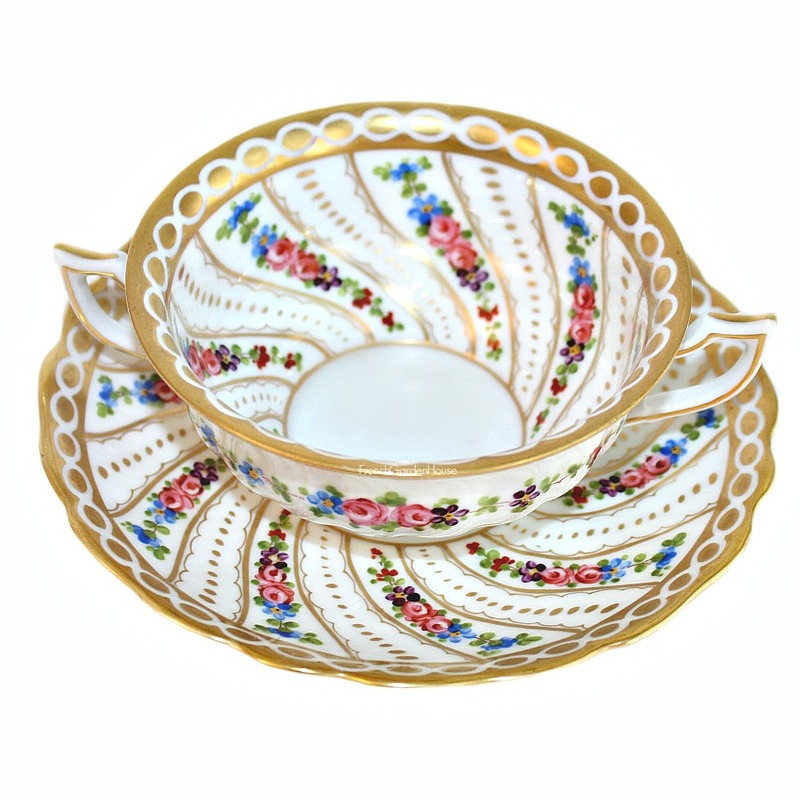 A sterling addition to your collection of antique tea cups and bouillon cups. 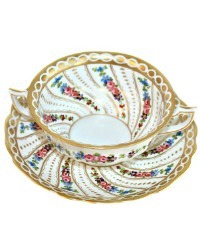 Measures:cup: 5-5/8" x 4-1/4" x 1-3/4"h;saucer: 5-7/8".